Today's US Supreme Court decision in EEOC v. Abercrombie & Fitch illustrates that the American conception of the role of religion differs markedly from that of France and Western Europe. The French Revolution viewed religion as the enemy and strove to create a secular society that dis-established religion by actively pushing it out of the public sphere. The burqa-ban and its progeny (e.g., the current debate over banning the Muslim headscarf at nurseries) are the latest manifestation of this approach, which is gathering steam in Europe – witness the Dutch debate over a partial veil ban. By contrast, the US has historically had a more positive conception of religion and sought to maximize individuals' rights to exercise their religion freely while preventing any religion from gaining governmental endorsement or support. 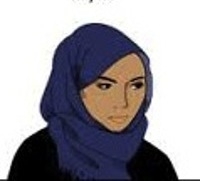 The case decided today was brought by the Equal Employment Opportunity Commission on behalf of a Muslim woman, Samantha Elauf, who wore a head scarf to her job interview with Abercrombie & Fitch and was rated qualified, but not hired because the scarf violated the company's appearance policy. The EEOC claimed that Abercrombie's actions violated civil rights laws (not the Constitution, but laws designed to prohibit discrimination in the workplace). The trial court ruled in favor of EEOC/Elauf. The appeals court disagreed and reversed. By an 8-1 vote, the Supreme Court reversed the appeals court's decision and reinstated Elauf's claim. Justice Scalia wrote: "Thus, the rule for disparate-treatment claims based on a failure to accommodate a religious practice is straightforward: An employer may not make an applicant's religious practice, confirmed or otherwise, a factor in employment decisions."